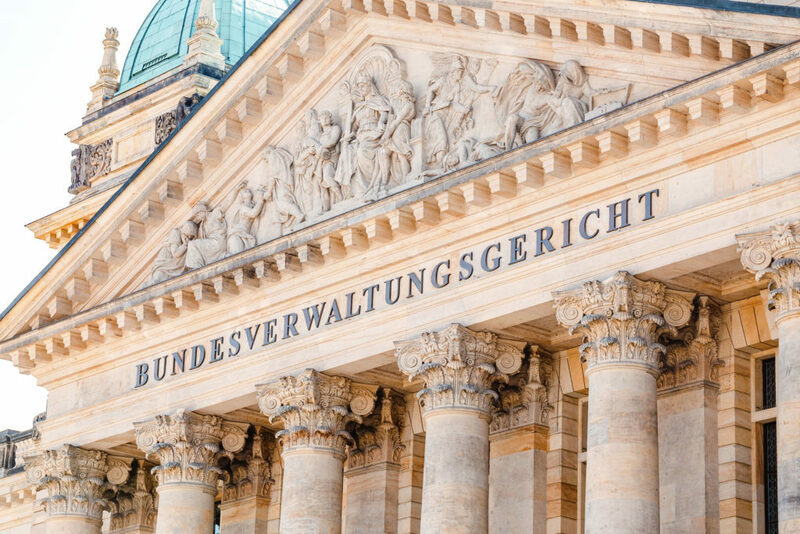 On 28 November 2018, the Berlin Administrative Court rejected a claim that challenges the constitutionality of the cannabis ban. A retired Berlin lawyer, the plaintiff, wanted to open a coffee shop and felt that the cannabis ban restricted his rights to freedom. Thomas Herzog and his legal advisor, lawyer Volker Gerloff, believe the cannabis ban to violate fundamental rights and to be unconstitutional. The Federal Republic of Germany, the defendant, was represented by lawyers of the Federal Ministry of Health. Does the Constitution Outweigh International Treaties? The often cited argument that because of the UN Single Convention, a country cannot legalise the narcotic substance cannabis alone, means that the two lawyers are facing an argument that should outweigh multilateral obligations: the German Constitution. Gerloff and Herzog justify the claim with the argument that the Federal Republic of Germany may not enter into any binding obligations under international law if it would be detrimental to rights protected under constitutional law. If a court were to find violations of fundamental rights as a result of the existing cannabis ban, the Federal Government would have to provide an immediate and effective remedy to these violations. 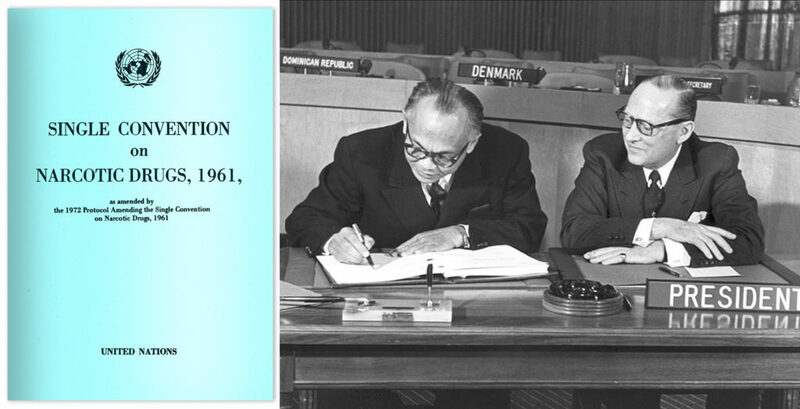 Consideration for international conventions, such as the UN Single Convention on Narcotic Drugs from 1961, would be secondary in such a case. The lawyers of the Federal Court regarded the rejection of the claim as confirmation of its stance. The Federal Constitutional Court is allegedly responsible for such fundamental legal issues such as the cannabis ban. If the administrative court were to allow the claim, the Federal Government would not simply be able to overturn the cannabis ban with a simple decree without the consent of the Federal Parliament and the Federal Council. The court justified the rejection by challenging the jurisdiction of the Administrative Court. Chief Judge Groscurth justified her decision by saying that only an Act passed by the Federal Parliament could decide that cannabis would be legalised. Herzog and Gerloff, on the other hand, still regard the ban as a violation of the principle of equality. The substances tobacco and alcohol are allegedly much more dangerous, yet legal. Perhaps it is not that bad that the claim was rejected at the lowest level. Imagine Pegida (Patriotic Europeans Against the Islamisation of the Occident) bringing the abolition of asylum law before an administrative court in the first instance and winning the case. The Ministry of the Interior would have to tighten asylum law straight away without the consent of Parliament. The only promising factor to come out of it would be that the case would be brought before the constitutional court in Karlsruhe. On the one hand, this would take longer and require its own financial assets, but on the other hand, it was 24 years ago when the judge in Karlsruhe last passed a judgment on the cannabis ban, and back then he already decided that the possession of small quantities should no longer be prosecuted. Only the way in which this old judgment is being implemented would be worth checking by the judge at the constitutional court. In 1994, the judge would certainly not have imagined that the regulations for small quantities would still vary widely 24 years after that first judgment and, depending on the federal state, are often worth no more than the paper they are written on. Even today, consumers in Bavaria and Baden-Württemberg are still being prosecuted with repressive measures and driving bans for being in possession of just a few grams, whereas in Bremen or Berlin, they often turn a blind eye. Given the current situation, it would be conceivable to all intents and purposes, that Karlsruhe would not block further trends towards liberalisation. Yet the would-be coffee shop operator from Berlin would have to wait a while longer. Instead of fundamentally challenging the constitutionality of the cannabis ban, bring the economic aspect to the forefront of the argument and then start by applying to open a shop. As soon as the trade office or the police wants to foil his plans, the retired lawyer would have to take legal action against the ban on opening a hemp shop, because then it would be affecting him specifically. After the two expected defeats in low instances, this would free the way to the Federal Administrative Court in Leipzig. Only if the highest administrative court were to rule against coffee shops would the judges at the constitutional court in Karlsruhe be responsible. Only they would then be able to declare the ban unconstitutional and request that the legislator legalise cannabis within a certain period. This path would certainly delay things for years. Another and much faster option would be to support the claim through Members of the Federal Parliament, who can appeal to the constitutional court directly and without detours if they believe that a law restricts fundamental rights. It would of course be simpler if there were already new majorities in Berlin beforehand. Given the last elections in the Federal Parliament, that is not very implausible, because since the U-turn the SPD made this summer, there is currently already a mathematical majority in the Federal Parliament that’s in favour of a regulated cannabis market. Yet the SPD, as a minor coalition partner of the CDU, is not yet in the position to exert pressure. Cannabis does not appear in the coalition agreement, which governs the guidelines set by government policy in the coming years in detail. In Germany, it is a political tradition not to jeopardise this agreement by bringing up controversial topics during the term of office. The post Does the Cannabis Ban Violate Fundamental Rights? appeared first on Sensi Seeds Blog.